The 2018 Nissan Leaf: Simply Amazing or Epic Fail? 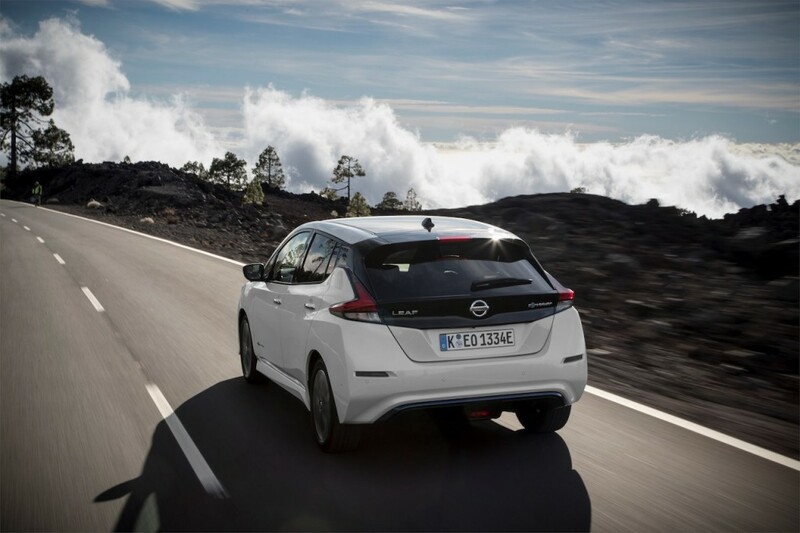 The new Nissan Leaf was unveiled last September to great fanfare, as Nissan launched a months-long global marketing offensive to trumpet the arrival of its second generation mass market electric car. A daunting task: replacing the World’s best selling EV, the 2011 Nissan Leaf, produced in around 300,000 units since it came to market. Expectations were particularly high: Nissan was the first automaker to aggressively pursue the EV market, but had not followed up with a new product since. Meanwhile, progress in the field has been explosive and competition is finally raging. Would Nissan once again lead the way? That was the question. The Japanese car maker confidently hailed this new Leaf as the world’s most advanced mass market electric vehicle and, since its September launch, media outlets have followed suit with rave reviews and generous awards (2018 World Green Car, Best Electric Car… you name it). New generation driving assistance systems such as Propilot and the e-Pedal got all the attention. Global sales to core markets started in January after an early opening in Japan and total orders have since surpassed 40,000 units with strong sales in all continents. But beyond the hype and good start, is the new Leaf living up to expectations? The most obvious issue for any new electric car model is to address the age-old fear of “range anxiety”. With early EV models such as the first Leaf only managing about 100 miles (160 km) on a charge, this is easily the main factor preventing mass adoption of electric vehicles beyond enthusiasts and short-distance commuters. It’s true that most drivers statistically only require their car to make short trips on a daily basis, but for an EV to be the main or only car in the household, 100 miles simply won’t cut it. That’s why, as rumors got confirmed about the 2018 Leaf’s 40 kWh new battery, excitement on the new model’s capacity faded quickly. 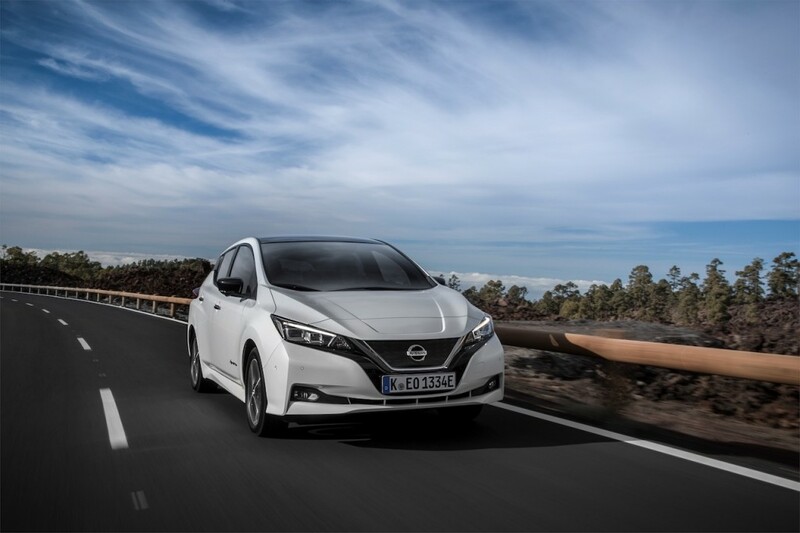 With just over 150 miles (240 km) EPA range, the improvement over its predecessor is notable but not ground-breaking; the original Leaf had itself been improved to 30 kWh over time. While appealing to more customers, it falls short of catching up on market rivals, let alone leading the way. Which takes us to the second most important issue surrounding electric cars: charging. The 2011 Leaf boasted 50 kW fast charging as standard, through its Japanese CHAdeMO plug, providing a good charging speed for its small battery pack. Since then, Tesla has led the way in ultra-fast charging via its 120 kW proprietary system, while most major car makers are now grouping up in support to the CCS system, which promises charging capacities of up to 150-350 kW (available this year). The 2018 Nissan Leaf surprised us with… a 50 kW CHAdeMO plug. The complete lack of progress on this crucial aspect means the new battery may be charged to 80% in around 40 minutes, worse than its predecessor. It’s true that possibly up to 80-90% of charging will be done overnight (when speed doesn’t count as much), but the low spec puts another nail in the coffin for long distance travel with this car. And it’s not the end of the bad news. Recent tests from early customers demonstrated that when fast charging multiple times over the same trip, the new Leaf will automatically slow down the rate of subsequent fast charges from the “full” 50 kW to much lower rates (about half speed). Nissan has since confirmed this is a “feature” rather than a fault, to preserve battery life. A bit of an embarrassing justification for an unadvertised limit of the new product, promptly rebranded as #Rapidgate on social media, and whose consequences are yet to be seen. This flaw alone could quickly turn the narrative about the new Leaf to a completely different direction, as initial orders are fulfilled and new noteworthy competitors such as the Hyundai Kona Electric, Kia Niro EV and Tesla Model 3 become available. With the first cracks in a so far idyllic picture starting to surface, it’s doubtful if Nissan will be able to continue its electric ride unscathed for much longer. They still may have a card up their sleeve: the long range 2019 Nissan Leaf. Rumored to boast a 60 kWh battery for a 225+ miles range (over 360 km), 100 kW fast charging and liquid battery cooling, next year’s version could nip most of the nascent controversies in the bud. But until the upgraded model is unveiled, the New Leaf’s honeymoon with media and customers may soon prove to be short-lived. This entry was posted in Gotta Be Kidding, Green Cars. Bookmark the permalink. 6 Responses to The 2018 Nissan Leaf: Simply Amazing or Epic Fail? Pingback: The 2018 Nissan Leaf: Recipe For Success Or Disaster?